The NFL is trying to shake up this year for the Pro Bowl by introducing a new voting format that will be comprised of fans, players and coaches to decide the two teams. There will then be a draft between the top two voted players assisted by Hall of Famers Jerry Rice and Deion Sanders. 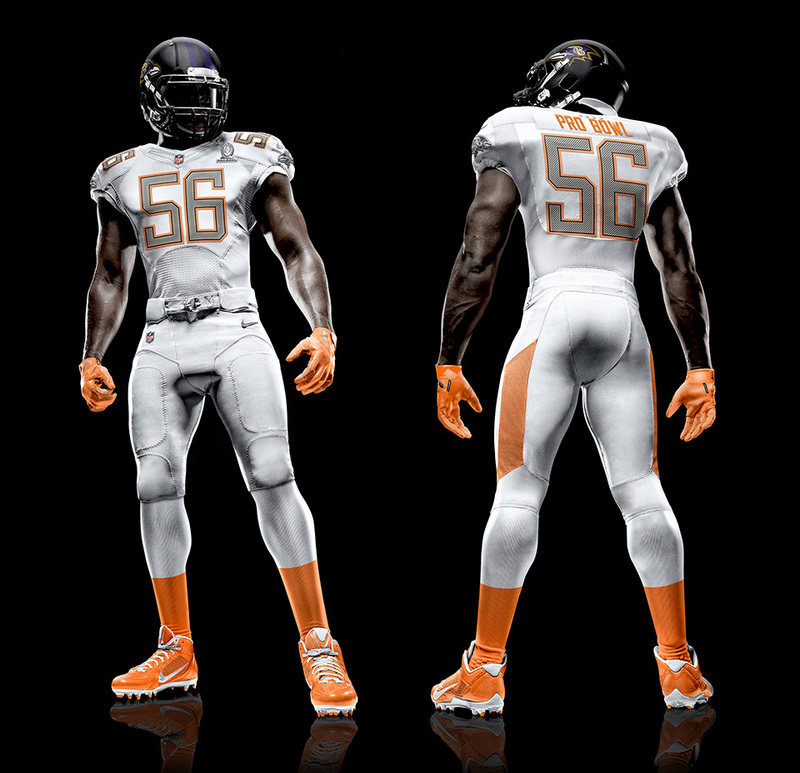 In addition to the draft, Nike has unveiled two new uniforms for the teams. Nike had rebranded the Seahawks last season and have done some minor changes to the Miami Dolphins, Minnesota Vikings and Jacksonville Jaguars this year. As I mentioned in this post, I really liked the subtle tweaks. However, critics are claiming that Nike has been pretty conservative since the partnership with the NFL. I'm all for change since the Pro Bowl is an irrelevant event that no fans care about. That's right, the most popular league sport has an event with the best players and no one watches it. Losing the red and blue color palette is fine, but I'm not sure about using Oregon and Oklahoma State is right either. Hopefully these changes will make the event more enticing to watch.